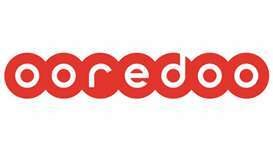 Ooredoo announced on Thursday a new reward promotion based on the hugely popular National Sport Day offer, which saw customers being rewarded for staying active throughout the day. 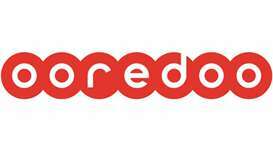 Ooredoo has reached a milestone with its Live Chat feature on the Ooredoo app, serving its 100,000th customer to date, it was announced on Thursday. Ooredoo has signed a Memorandum of Understanding (MoU) with the Qatar Financial Centre (QFC) as part of Ooredoo’s programme for business innovation and partnerships development. Ooredoo, the region’s leading enabler of digital business innovation, and Atos, a global leader in digital transformation, have announced a partnership for enterprises to accelerate their digital business competitiveness during the Mobile World Congress. Qatar residents and visitors will have the opportunity to watch the Golden Birds, a mesmerising world-class circus show born in Mongolia, at Mall of Qatar’s (MoQ) Ooredoo stage from March 4 to 16. Ooredoo has announced the launch of its new 'Home Internet' plans, a new line-up of "ultra-fast Home Broadband offerings catering to all households - from small to large dwellings". 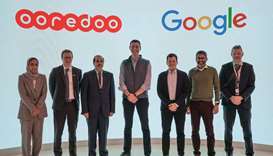 Ooredoo’s 5G pilot projects have driven Qatar to be ranked globally among the "world’s top five 5G-leading countries", a new report released at the Mobile World Congress in Barcelona on Tuesday showed.